This week's Music Monday is the Christmas carol Hark! 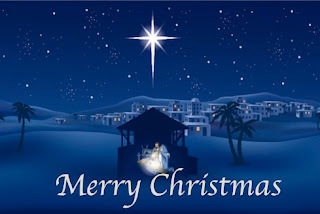 The Herald Angels Sing, with lyrics written by John Wesley (with additions by George Whitefield and others). 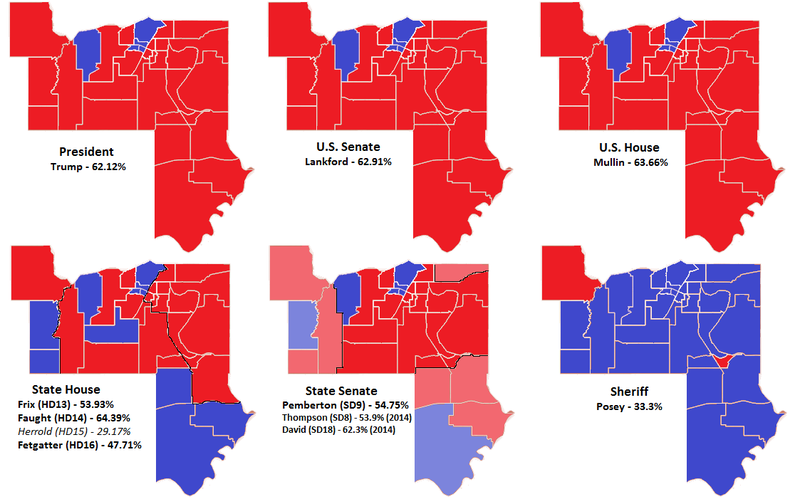 Republican Ken Walker was one of only three incumbent legislators to lose their reelection bids (all Republicans, all defeated in their primaries). 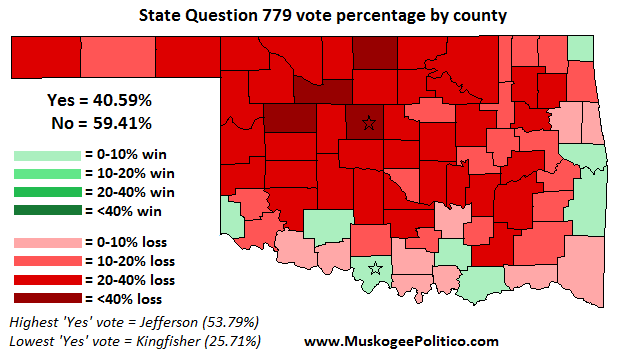 Walker lost the House District 70 GOP primary to challenger Carol Bush by just over 3% of the vote. Walker ranked high in both his conservative rating average (9th in the House) and his Conservative Performance Index score (14th in the House). 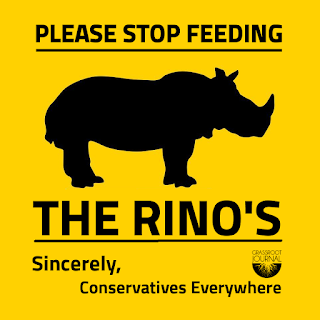 It appears that he's been replaced by a true 'RINO' (Republican In Name Only). 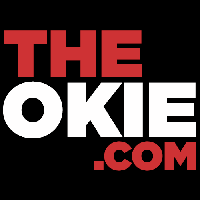 In an interview with TheTulsaVoice.com, new HD70 State Rep. Bush reveals her true colors. ObamaCare: "Wrong execution of the right idea. I do believe we have to take care of the healthcare of everybody." Tax Hikes 1: "We’ve taken too much money out of the budget in the last 12 years." Tax Hikes 2: "I was all for that cigarette tax. It should go back on the table." Tax Hikes 3: [question from interviewer: "So, where do we make up the revenue? Higher taxes on horizontal drillers?"] Bush: "Yeah. What about a luxury tax?" Gay "Rights": "Of course. You can’t legislate morality." Bush also appears to lean toward allowing assisted-suicide laws, and found Rep. John Bennett's talk at a recent caucus meeting to be "prayer revival, Bible thumping" and "offensive", further saying "We need to muffle his megaphone." Bush says she was recruited to run by extreme liberal Democrat ex-Rep. Jeannie McDaniel . 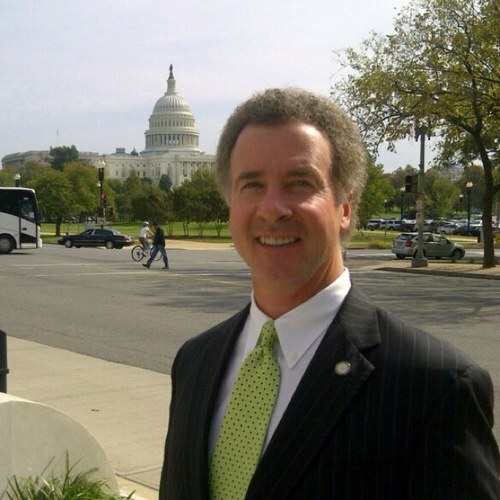 McDaniel had the 7th most liberal rating in the House, and 5th worst CPI score. It looks like she will be a "fitting" replacement for ex-Rep. Doug Cox, who had the 2nd-worst CPI score among Republican House members and the worst conservative average. 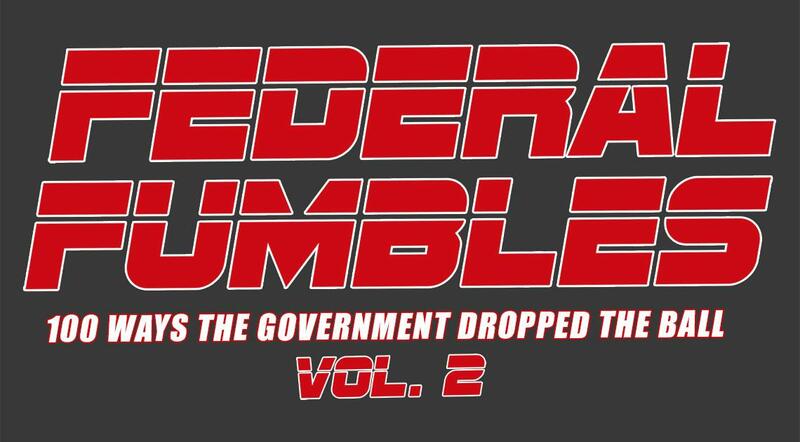 The Foundation to Restore Accountability, former Sen. Tom Coburn's government-waste-exposing non-profit, has released a new report detailed more wasteful federal spending. 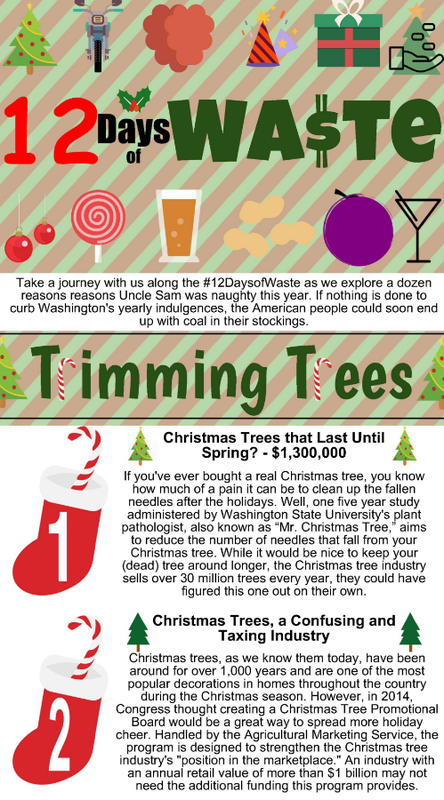 The #12DaysOfWaste report covers items like $300,000 in Christmas presents for federal prison inmates, $2,000,000 to promote confectionery products, and $150,000 to purchase equipment for two Vermont snowmobile clubs. 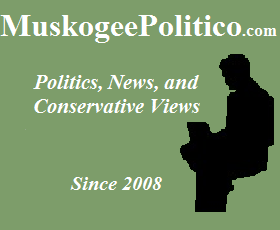 The Muskogee County Republican Party is throwing an Election Celebration party on Thursday, with special guest State Auditor and former OKGOP Chairman Gary Jones. 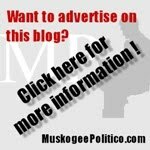 For the first time in state history all 3 legislative seats that encompass the city of Muskogee went Republican, and the entire county is represented in the State Senate by Republicans. 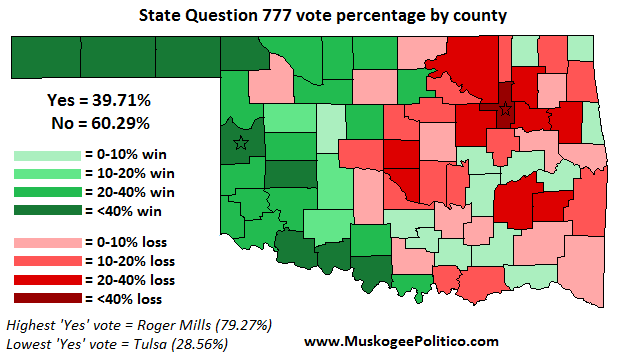 Every open legislative seat in Muskogee County flipped from Democrat to Republican in the recent election. 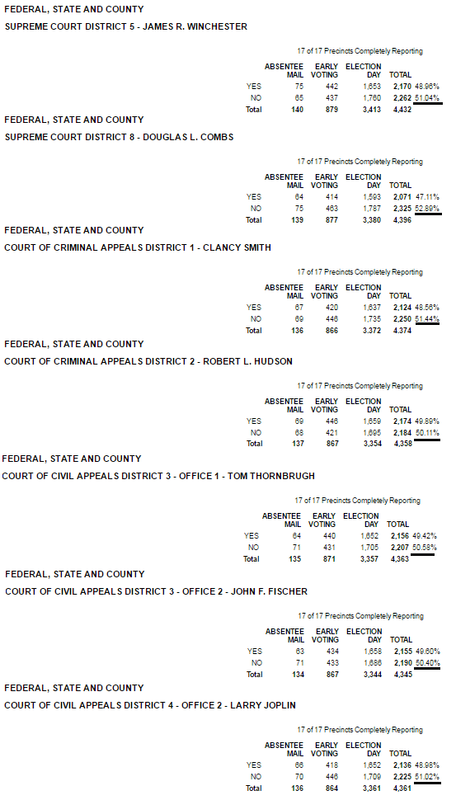 Also, Republicans now number over 30% of all registered voters in the county for the first time in history. 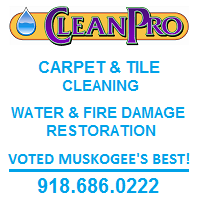 The event will be held on Thursday, December 15th, at the Martin Luther King, Jr. Community Center (300 MLK Street in Muskogee - across from Office Depot) from 6:00pm - 8:00pm. Come meet our newly elected and re-elected state legislators, and special guest State Auditor Jones. 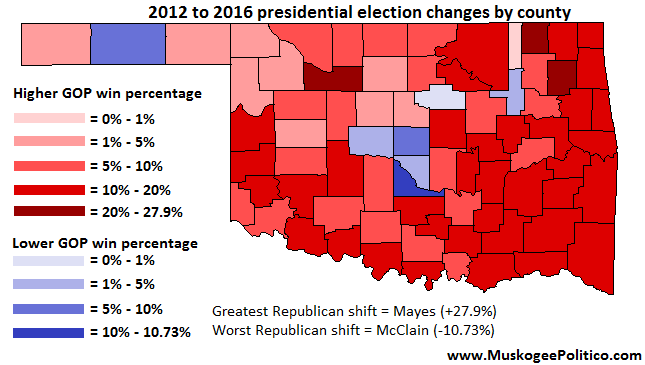 To illustrate the Republican sweep, here are all the partisan races that were held in Muskogee County in 2016 (with the 2014 State Senate races in lighter shades). Republicans won every race except for County Sheriff and House District 15 (figures below are for Muskogee County only, and do not include figures from other counties for the rest of each race). For those of you who are long-time readers, I've written quite a bit in the past about health-care sharing and our experience as a family with this different method of dealing with health-related expenses. With constant changes in the health care field, I thought I'd take some time to explore some of the growth this concept has had in the past eight years. Over the last few weeks, I've gathered information from the six nationally-available health care sharing ministries, but before I share the statistics let me explain what exactly "health care sharing" is, for those who are unfamiliar with the term. While there are some minor differences among the major health care sharing ministries, the basic system is the same. Members usually affirm a statement of faith and agree to live a lifestyle that fits certain moral guidelines (including but not limited to: no sexual activity outside of Biblical marriage, restrictions on tobacco and alcohol, and usually a minimum church attendance or involvement level). Members commit to a set amount each month, which is sent to fellow members who have submitted their medical bills to the ministry, which assigns those medical needs to specific members each month. Health Care Sharing Ministries (HCSMs) "are operated by not-for-profit religious organizations acting as a clearinghouse for those who have medical expenses and those who desire to share the burden of those medical expenses." They are not insurance, but HCSMs and their members are exempt from the insurance mandate in ObamaCare and pay no penalty or tax. HCSMs are legal and operate in all 50 states, U.S. territories, and even have international members (such as missionaries). HCSM members are considered cash or self-pay patients, and can generally use any physician or hospital that will accept cash/self-pay patients (one or two of the ministries use networks for extra savings, but they're not required). Most of the ministries also work with third-party groups to negotiate deep discounts on larger bills. According to a 2014 article by Politico's Brett Norman says "53 health-sharing groups have been certified by CMS (Centers for Medicare and Medicaid Services) as qualifying for the individual mandate exemption. Many are small churches with fewer than 100 members." There are currently six main, nationally-available HCSMs. Christian Healthcare Ministries began in 1981. In 1993, Christian Care Ministry started Medi-Share. Samaritan Ministries started sharing in 1994. Altrua HealthShare (2000, 1997 through merger), Solidarity HealthShare (2012, 1990s through affiliation), and Liberty HealthShare (2013, 1995 through affiliation) started sharing more recently, but are affiliated with older groups in order to qualify under the ObamaCare restrictions on HCSMs (continual existence since before 2000 is one rule). According to a paper published by the Charlotte Lozier Institute last December, there were just over 100,000 participants in HCSMs in 2005. Growth since that time has been exponential, particularly since ObamaCare began to be implemented. I reached out to the six aforementioned ministries and obtained some statistical information to share about their growth. As of November 2016, there were about 212,400 individuals participating in Medi-Share; in December 2008, there were 37,900, for an eight-year increase of about 460%. 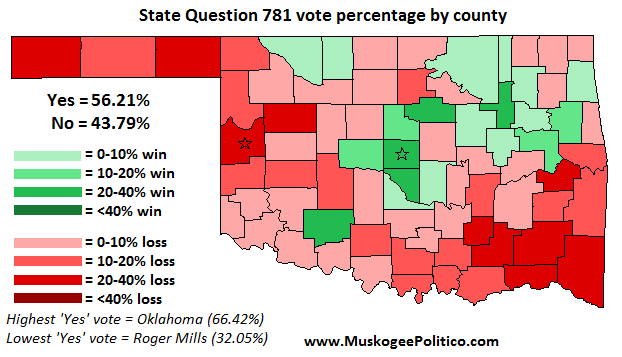 There are currently about 3,170 members in Oklahoma. Monthly membership with Medi-Share is a little more complicated, a little more like traditional insurance. It depends on age, health, and varying pre-sharing levels ranging from $500 to $10,000. It looks like it ranges from $36 (17, healthy, $10,000 personally responsible before sharing) to between $1,060 and $1,925 (head of household older than 65, family, $1,250 pre-sharing). Medi-Share is not available in Montana. As of November 2016, Samaritan Ministries had 209,650 individuals participating; in December 2008, that number was about 40,500, for an eight-year increase of about 418%. 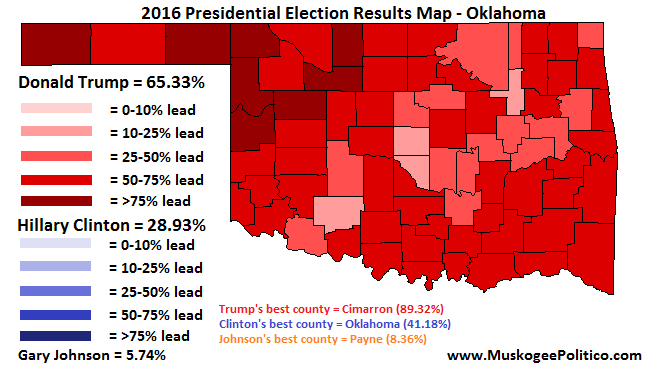 There are 3,425 members in Oklahoma. Monthly membership runs from $180 (single individual under 26, young adult discount) to $495 (for a family of three or larger). Samaritan's pre-sharing level is $300 per submitted need, with a pre-sharing limit on the first three needs (none of additional needs), for a max of $900. Christian Healthcare Ministries was not particularly helpful in responding to my questions, only confirming that they have "well over 150,000 actively participating members", likely between 175,000 and 200,000 nationally. In December 2008, they probably had around 18,000 members, for an eight-year increase of about 872%. They have "over 3,000 members" in Oklahoma. Monthly membership runs from $45 (one individual on 'Bronze' program) to $450 (family of three or larger on the 'Gold' program). CHM's pre-sharing level is $500 per unit per year for their 'Gold' level, to $5,000 per incident on 'Bronze'. Liberty and Solidarity are affiliated organizations, with Liberty being the larger of the two. Solidarity is exclusively for practicing Catholics. The two groups comprise the "National Coalition of Health Care Sharing Ministries", which administers Solidarity and helps with their operations, utilizing Liberty's wider experience. As of November 2016, the two groups totaled over 90,000 individuals participating; in December 2008, their parent groups had about 3,000 members, for an eight-year increase of about 2900%. 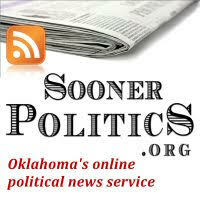 Approximately 1,000 members are in Oklahoma. Monthly membership runs from $107 (single individual under age 30 on lowest program) to $499 (senior adult couple on 'Complete' program). Liberty and Solidarity have the same prices and programs. Their pre-sharing level ranges from $500 for an individual to $1,500 for a family. Currently, Altrua HealthShare has about 25,000 individuals participating; in 2008, that figure was about 1,500, for an eight-year increase of about 1567%. Altrua originally began as a Mormon-oriented HCSM in 2000, but changed structure and leadership in 2005 to became non-denominational in reach. They currently have about 300 members in Oklahoma. Monthly membership runs from $10 (single individual under 40 on 'Bronze' program) to $780 (family on 'Gold Standard' program; add $50 on any program for the 6th and following family members). Their pre-sharing level is from $500 per person ("Gold Standard" program) to $4,000 ("Bronze" program) per year. When combining figures I've collected online and through direct requests, we see that for a period of several years (at least 2005-2010), there were between 100,000 and 120,000 members of health care sharing ministries nationwide. However, once the Affordable Care Act began to be implemented in 2012 and 2013, HCSM growth exploded like a rocket. There are now over 712,000 individuals participating in health care sharing across the country, a growth of over 600% since 2008. I used 2008 as the starting point of this overview for several reasons: 1) The election of Barack Obama started a period of new health care policy under a new presidential administration. 2) Obama made his health care plan a key part of his first campaign, and when he won plans began immediately to make a complete change to the American health care system. 3) Those changes began disrupting a fairly settled, existing system (one that need some reforms, albeit of a completely different bent), forcing people to explore other options, and particularly bringing attention to the previously little-known concept of health care sharing. As you can see, beginning in 2013, the figures simply take off. The years with asterisks ('09, '11, '12, '14) were dates I had few official figures from, and are based on the general trends. Otherwise, I was able to directly obtain figures from the various ministries or else glean them from news reports and documents online. The "big three" (Medi-Share, Samaritan, Christian Healthcare Ministries) all had a modest amount of members to begin with, while Liberty/Solidarity and Altrua didn't really start enrolling until 2013 and 2015. 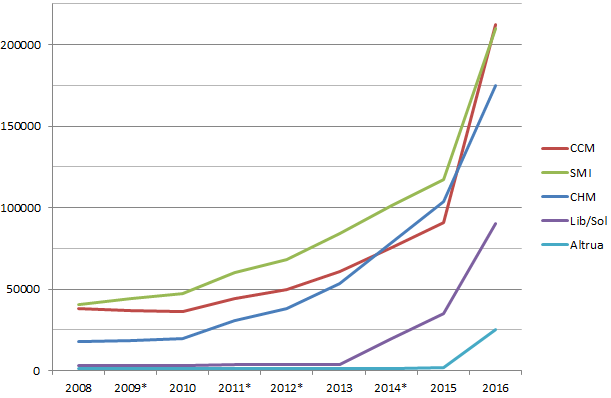 There's been an increase of over 600% since 2008, and membership in these six HCSMs has doubled in just the last eighteen months. Not included in these figures are members of the several dozen other organizations who have no online presence, predominately small, localized churches and ministries in the Amish and Mennonite communities. I've reached out to the Centers for Medicare and Medicaid Services (which certifies HCSMs) for more information, which I hope to receive soon, but we all know how slow the wheels of government can move. Taking these additional ministries into account, there could be as many as 750,000 Americans participating in health care sharing organizations across the nation. 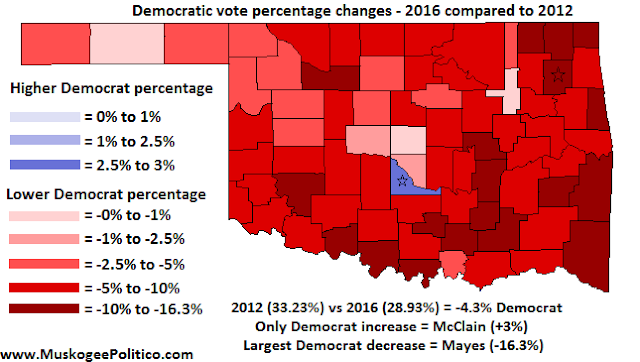 Oklahoma has a 25% higher participation rate than the nation at large, with a total of around 11,000 Oklahomans being members of different HCSMs. When I reached out to the different ministries, I asked them what they hoped or expected to see regarding HCSMs in the upcoming Trump administration. Here are a few of their comments. 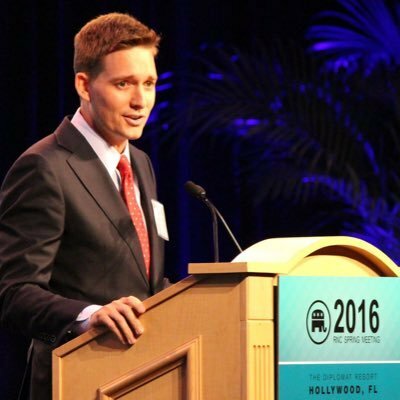 Joel Noble, Public Policy Department: We are optimistic about the upcoming political climate. We will plan on passing legislation to amend the tax code so health care sharing membership qualifies for a health savings account (HAS). We will also seek to clarify existing tax law to permit taxpayers to deduct health care sharing amounts and any fees. Additionally, we are positioned well to be involved in whatever repeal/replace looks like for the ACA as it would relate to health care sharing, if and when that happens. Any changes to the Affordable Care Act will take some time to implement, and we’ll keep our members well-informed of any potential impact to them. In the meantime, our members will continue to faithfully share in one another’s healthcare burdens as they have since 1993. We trust our future, regardless of administration, will be the same as our past, which is that we will be able to fulfill our purpose of glorifying God and serving His people. That’s all we do and want to do. We are expecting continued recognition of healthcare sharing as a means of sharing medical costs, a method chosen by people wishing to live their faith by sharing in each others’ time of needs. Randall Sluder, Executive Director: "There's nothing negative that I see coming [regarding health care sharing] from the Trump administration." Health care sharing has been around for quite some time, and is poised to continue rapid growth in this era of constant changes in health care and health insurance. For Christians, it's an exciting non-insurance method that deserves consideration. Tens of millions of dollars worth of medical needs are shared each and every month by three-quarters of a million individuals across the country, testifying to the fact that this really does work. My wife and I are members of Samaritan Ministries, and it works for us. I have a relative who is in Christian Healthcare Ministries, and it works for them. I go to church with a Medi-Share member, and it works for them. I have a carpet cleaning customer who is a member of Liberty HealthShare, and it works for them. You might not be aware of it, but you probably know members of health care sharing ministries yourself! Regardless of the ministry, these are all good options that should be looked into. Alliance of Health Care Sharing Ministries: Samaritan Ministries and Medi-Share have formed this public policy organization to advocate and provide information about health care sharing to government officials and the general public. They have a handy page detailing the legal status of health care sharing in all 50 states, viewed here. My personal experience with Samaritan Ministries: two different medical needs in four years, about $50,000 in medical bills were shared in full by over 70 families across the country. If you look into Samaritan and decide to join, I'd appreciate being listed as your referral (we get a credit), if you've found my information helpful. The other ministries also give referral credits, so if you decide to join a different ministry, I may know someone you could list in that ministry as well. 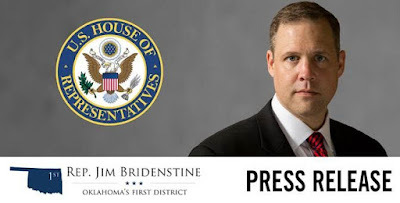 OKLAHOMA CITY – Conservative lawmaker Kevin Calvey, R-Oklahoma City, today called upon State Superintendent of Public Instruction Joy Hofmeister, R-Tulsa, to resign in the wake of felony charges against her. Calvey noted that his call for Hofmeister’s resignation should not be confused with the criminal case against her. Calvey questioned whether legislators would trust Hofmeister to lead the state’s largest agency with the cloud of criminal charges looming. 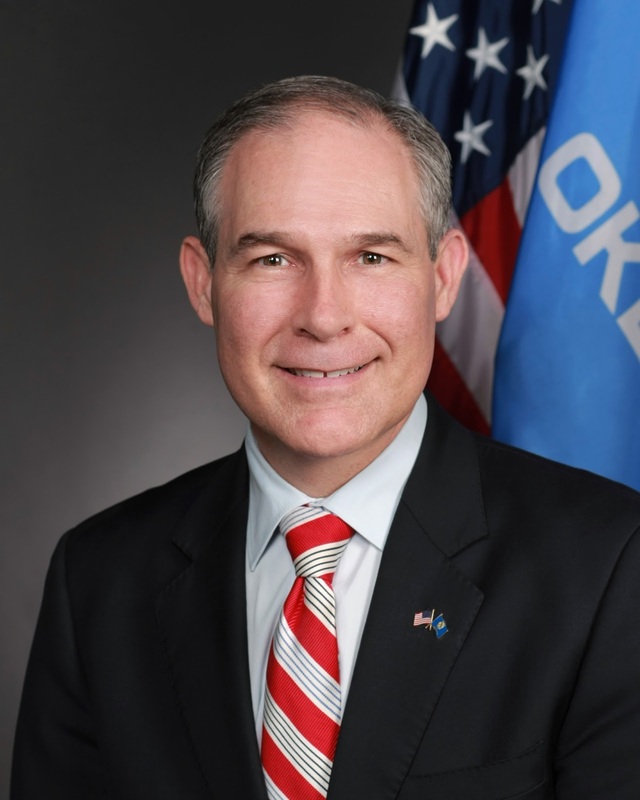 Environmental Protection Agency, meet your worst nightmare, and your soon-to-be new boss: Oklahoma Attorney General Scott Pruitt. 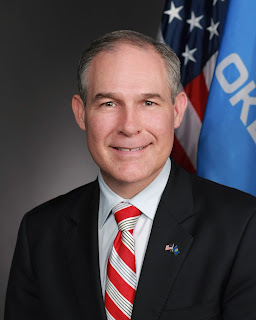 Pruitt has made fighting the EPA's overreach one of his top priorities as Attorney General, and like clockwork the Left is screaming bloody murder about Trump choosing him to lead the agency. BONUS: here's the headline from the New York Times Editorial Board's lead opinion piece in tomorrow's paper - "An Enemy of the E.P.A. to Head It". 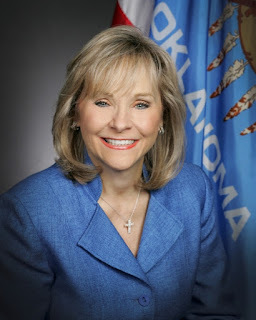 OKLAHOMA CITY – Governor Mary Fallin today announced the formation of a task force to perform a comprehensive review of occupational licensing in Oklahoma. The Oklahoma Occupational Licensing Task Force will provide recommendations to the governor to remove unnecessary or burdensome regulations that are a barrier to potential workers. The Oklahoma Department of Labor will provide administrative support for the task force, including necessary personnel. Identify all of the licenses required in Oklahoma. Identify all state agencies, boards, and commissions involved with the administration of licenses. Determine how each license is administered, including a review of information technology platforms that are or could be utilized and the fee structure for obtaining licenses. Review the necessity and appropriateness of training levels and other requirements required to obtain licenses. Evaluate whether the public health and safety goals and concerns addressed by license requirements outweigh the barriers to entry they place on Oklahoma workers. The task force was given a deadline of Dec. 31, 2017, to complete its work. Fallin’s executive order names Labor Commissioner Melissa McLawhorn Houston to head the task force. 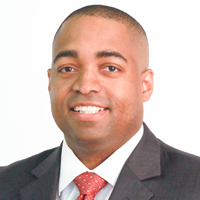 Houston will appoint members of the task force, which will consist of two state senators; two members of the state House of Representatives; Attorney General Scott Pruitt or his designee; Fred Morgan, president and chief executive officer of the Oklahoma State Chamber or his designee; one member of the Oklahoma Justice Reform Task Force; two members of organizations focused on workforce and economic development; and a member of an organization focused on poverty reduction. John Tidwell, Oklahoma state director of Americans for Prosperity Foundation, applauded Fallin for forming the task force and Houston for leading it. This week's Music Monday is A Christmas Festival, arranged by Leroy Anderson and performed here by the Boston Pops Orchestra, conducted by Arthur Fiedler. 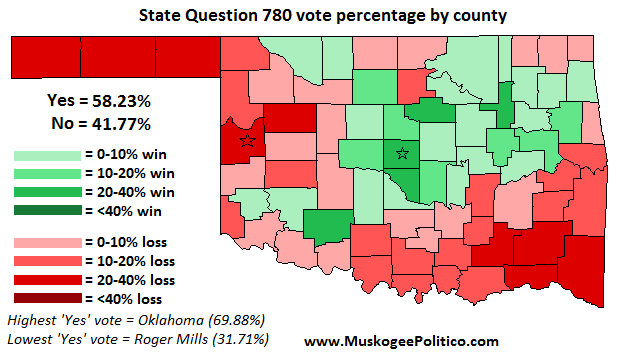 When Oklahoma voters trounced University of Oklahoma President David Boren’s tax increase at the polls on Nov. 8, a major reason many voters gave for voting no was the fact that a large chunk of the revenue would have gone to a higher education system they view as wasteful and inefficient. Less than a month later, what do we hear? But hey, if Johnson is correct, then by all means policymakers should appropriate every single dime to higher ed – and we’ll all be rich. With an annual compensation exceeding $411,000, Chancellor Johnson may make more money than the president of the United States – but he makes about as much sense. 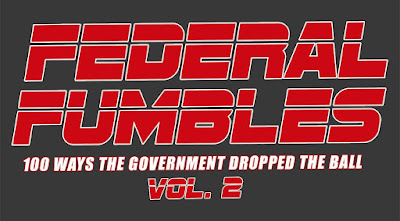 Remember President Obama’s claim about his “stimulus package” – that money extracted from taxpayers and crunched through a vast government bureaucracy magically generates more money? If the higher education system is not willing to reduce administrative bloat, consolidate campuses, increase professor workloads, and rein in the out-of-control political correctness, appropriators should respond accordingly. 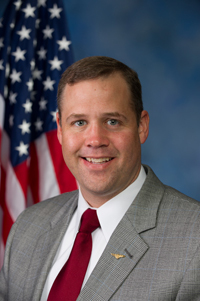 Washington, DC, December 2, 2016 -- Today, Congressman Jim Bridenstine voted for the FY17 National Defense Authorization Act (NDAA) conference report. The NDAA conference report reconciles differences in the House and Senate versions passed earlier this year. 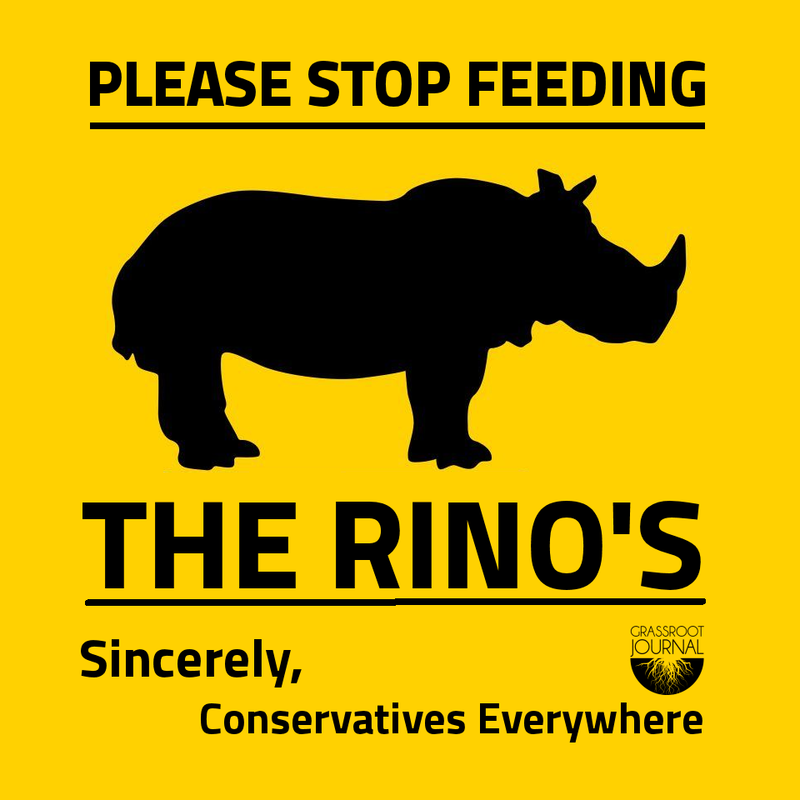 NDAA is a bipartisan bill that authorizes funding for America’s armed forces and sets Department of Defense policy. Congress has passed the National Defense Authorization Act 55 years in a row. Section 1605 - Modifies the terms of the Satellite Communications (SATCOM) Analysis of Alternatives (AoA) to ensure DOD uses accurate cost estimates and fully considers commercial SATCOM technologies. The Pentagon uses AoAs to help select new weapons systems to replace old programs. DOD will start the SATCOM AoA shortly to help choose a successor system to the current Wideband Global SATCOM satellite constellation, which provides long-distance communications capabilities to our warfighter. Section 1606 – Redirects funding to jump start a pilot program to test next-generation SATCOM technologies. Private sector SATCOM companies are offering leap-ahead capacity for commercial customers. The Department of Defense should take advantage of this. Section 1613 - Establishes a pilot program for the Air Force to buy, test, and evaluate commercial weather data. Utilizing data provided by innovative private sector weather companies can lower costs to taxpayers, produce better weather products for the warfighter, and complicate the targeting solutions of our enemies by distributing space architectures. 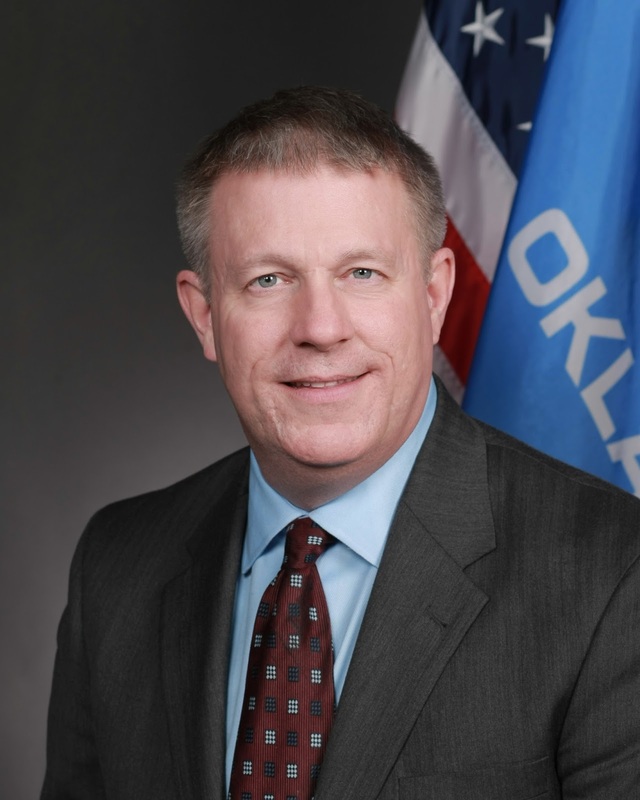 OKLAHOMA CITY – State Rep. Tom Newell announced his resignation from the House of Representatives today. Newell delivered his resignation letter to Gov. 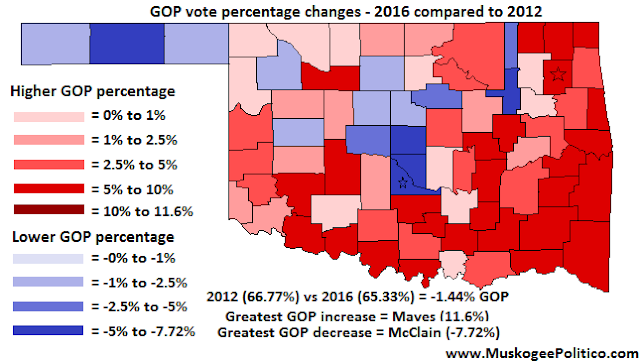 Mary Fallin showing an effective date of Dec. 31, 2016. 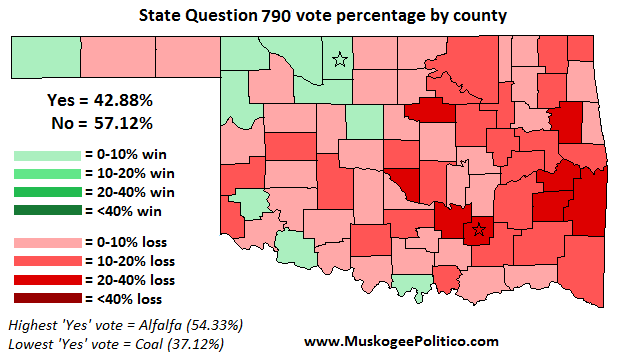 Fallin will call for a special election within 30 days to fill the seat for Oklahoma House District 28, which covers Seminole County and the northern portion of Pottawatomie County in east central Oklahoma. “It has been an honor and a privilege to serve the people of House District 28,” said Newell, R-Seminole. 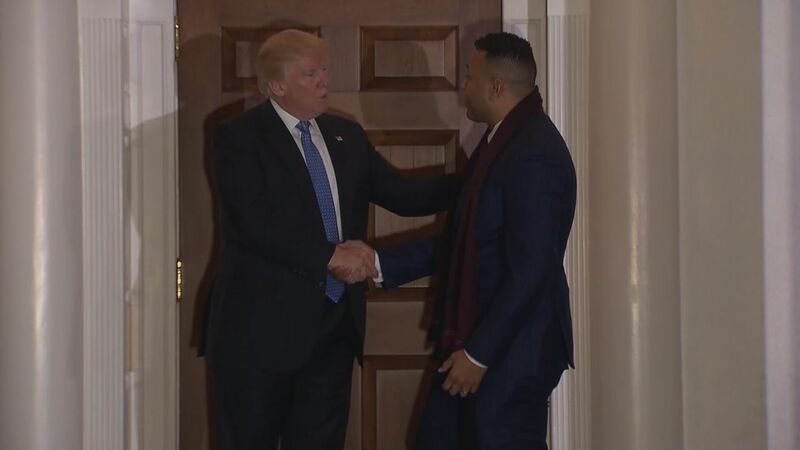 “I will be pursuing an opportunity in the private sector that will allow me to spend more time with my family, while allowing me to serve families nationwide. 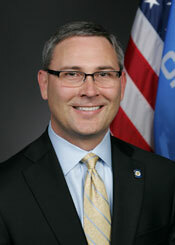 Newell, a pastor, was first elected to the Oklahoma House of Representatives in 2011. During the 2016 legislative session he served as chair of the Government Oversight and Accountability Committee. 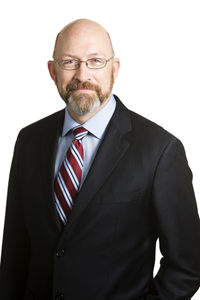 He also served on the Business, Labor & Retirement Laws Committee, the Children, Youth & Family Services Committee, and on the Revenue & Taxation Appropriations Subcommittee. Newell was born in Bristow, OK, and was a state champion bull rider and state champion extemporaneous speaker in the FFA. He earned his bachelor’s degree from Mid-America Christian University in Oklahoma City and his master’s degree in business administration from Liberty University. He pastored churches in Oklahoma, Missouri, and Pennsylvania, and taught business and economics classes at Seminole State College. He has three sons and one grandson: Ethan, Andrew, Levi, and Easton.